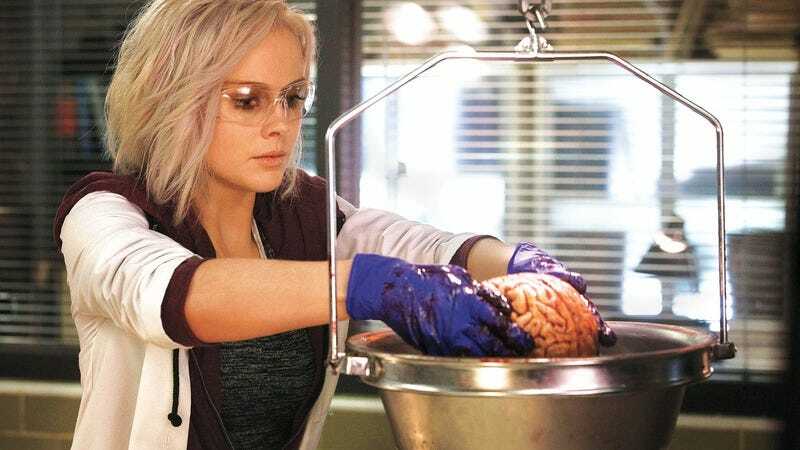 Ensuring a steady diet of brains for its far-too-attractive-to-be-a-zombie lead, The CW has renewed iZombie for a second season. Loosely based on a comic book series of the same name by Chris Roberson and Michael Allred, the show follows Rose McIver as Olivia “Liv” Moore, a twentysomething woman who gets turned into a zombie at a party—such are the dangers of millennial ragers—and subsequently uses the memories contained within the brains she eats to help solve murders. The procedural hasn’t finished its 10-episode debut run yet, but has largely received positive reviews. iZombie was created by Rob Thomas and Diane Ruggiero-Wright, both of Veronica Mars fame. No official word on the episode count or premiere date for the second season, but its return should at the very least make the team behind The Walking Dead consider sexing up its zombies for season six.